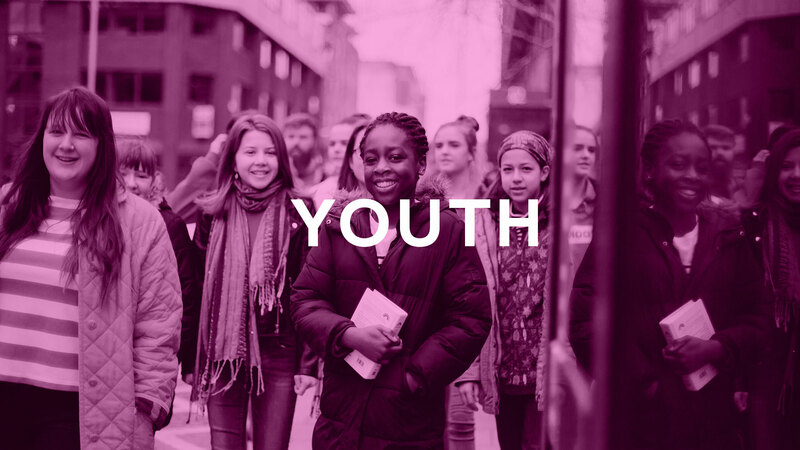 Youth is a key part of Welcome Church and we run a great range of events and activities for young people. On Sunday mornings we run a rolling programme for younger youth (school years 7 – 10) to provide a place for them to learn more about Jesus, as well as building friendships with each other. Most Sundays during the meeting, Welcome Youth have their own time with our Youth Leaders. After the worship they either go to one of Woking’s coffee shops or to the YPod Centre where they have the opportunity to discuss the preaching topic of the week, play a game or two and enjoy each other’s company. One Sunday a month the youth stay in to enjoy the whole meeting with the adults. On Friday nights we hold meetings at the Welcome Centre for young people from year 7 to year 13. They are a social time where everyone is welcome and we run a range of activities, from silent discos to games nights, worship evenings and movie nights. There’s always a free coffee shop and lots of opportunities to spend time with friends. A couple of times a term we may have events at other venues or in youth leaders’ homes for meals. Welcome Youth Fridays run most weeks during term time between 7.30pm and 9.30pm. This summer, Welcome Youth are going to Newday. Newday is one of the largest Christian events for young people that takes place in the UK every year. Over 7000 young people aged right through their teenage years and on into their early 20s join together from churches up and down the UK and Europe to learn about and worship God, camp out together and soak in the summer festival feeling. For more information about Newday, and to book a place, please click here to download the information and booking forms. If you want to know more details please complete our contact form and we will get back to you. All our youth leaders go through an application process and have advanced DBS certificates.